monsters in the distance, it had time to get out of the way, either in the water, where its strong tail and hind legs would soon carry it out of reach, or it could find shelter in some hiding-place on land. 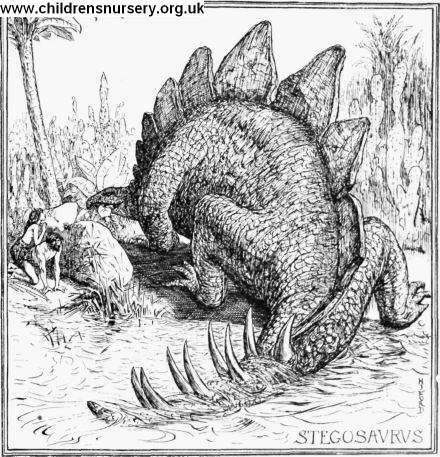 The Iguanodon itself was quite a harmless creature, with a smooth skin. It had hands with four fingers, and a sharp, spiky sort of thumb, whose use has not yet been discovered. The toes on its back feet were only three, but they made up in size and strength what they wanted in number.